13 November 2013. The global Campaign for Wool once again launched a special fashion project in Germany this year. Wool School, a design competition organised by The Campaign for Wool Ltd. in cooperation with selected retailers and universities, aimed to demonstrate the natural and sustainable qualities and versatility of wool, while also promoting young designers. 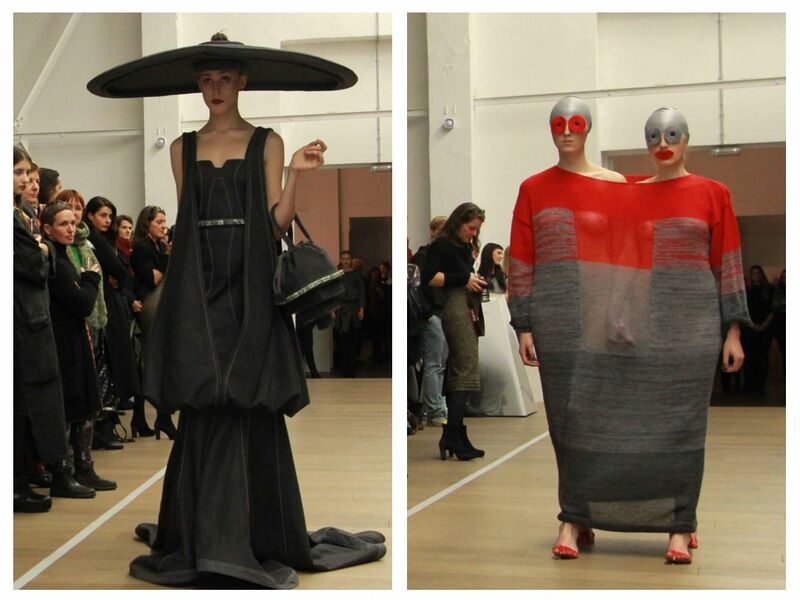 For the competition, fashion design students developed creative woollen pieces along different themes. Their creations were evaluated by juries composed of fashion industry experts and showcased by selected retailers in various cities. The Wool School campaign launched on Thursday, 24 October 2013, with an evening event to present the “Dynamic Heritage”-themed designs at the Wormland store in Hamburg’s Europa Passage shopping centre. Twenty fashion design students studying at the Hanover University of Applied Sciences and Arts unveiled their woollen creations to an exclusive audience of media representatives and selected guests. German television presenter and journalist Dunja Hayali moderated the event. Nicholas Coleridge, Chairman of The Campaign for Wool and President of Condé Nast International, took part in the Wool School project, and along with industry experts Dirk Koeberle (Head of Marketing Communications at Wormland), Prof. Volker Feyerabend (Professor at Hanover University of Applied Sciences and Arts), Philippa Lindenthal (designer) and Lisa Lisanti (Senior PR Manager at The Woolmark Company), presented 24-year-old Annika Hartwig with a cash prize of €1,500 for her design named “Traditionsliebe”. Hartwig won over the jury with an exquisite cream-coloured woollen coat, inspired by both the layering common to the traditional dress of the Schaumburg region near Hanover and avant-garde fashion trends. Her design stood out thanks to details like the elaborately embroidered silk taffeta on the back and the coat’s playfully ruffled sleeves. The woollen creations designed by participating students at the Hanover University of Applied Sciences and Arts were displayed for two weeks in the Wormland store and were grouped together in an installation that formed part of the shop’s visual merchandising. 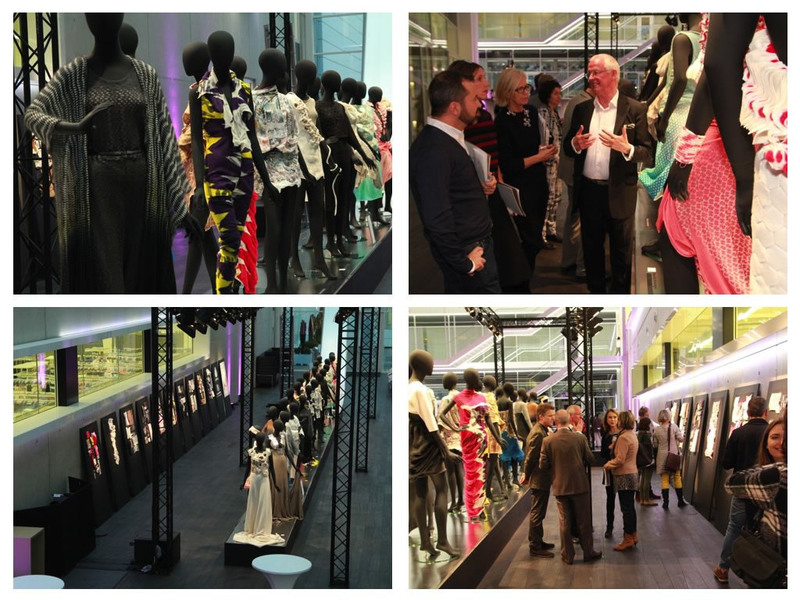 On 5 November, five students from the Stuttgart State Academy of Art and Design showcased their textile felt designs on the Free Felt theme in the imposing atrium at Marc Cain’s headquarters in Bodelshausen. German actress and modelAnnabelle Mandeng hosted the evening. This time the expert jury included Nikolaus Albrecht (editor of the magazine Freundin), Silke Emig (Textilwirtschaft), rosalie (international artist, stage and costume designer), Fabrizio Servente (Campaign for Wool Italy), Karin Veit (Marc Cain) and Heinz Verhufen (Jung fashion house, Augsburg) chose two winners: Anna Reinhardt for her “Comic” felt collection and Jae Sook Lee for her “Dialogue” felt designs. The jury was particularly impressed by the two designers’ creative use of merino wool: “Anna Reinhardt’s ‘Comic’ designs use felt in a new, exciting and imaginative way. We picked out Jae Sook Lee because we felt her ‘Dialogue’-themed textiles were particularly elegant and striking,” said Karin Veit, Creative Director at Marc Cain, who wants to use the felt designs as inspiration for future collections. Wool School wrapped up the campaign in Berlin on 7 November with a presentation hosted by the renowned retailer Andreas Murkudis in cooperation with HTW University of Applied Sciences. Thirteen design students participated in the project, creating diverse and innovative fashion based on the theme “Caring and Sharing”. The event featured an awards ceremony for the best wool designs. The students’ creations were judged by industry professionals Melissa Drier (WWD), Professor Monika Oppel (HTW University of Applied Sciences in Berlin), Johann Mittermayr (The Woolmark Company), Melanie Müller (Flair) and host Andreas Murkudis, with the award going to Florian Schulze for his design“Kapok”. Andreas Murkudis praised in particular the design’s rigourous and elaborate execution: “The idea was excellently thought through, right down to the last detail,” said Murkudis. The talented student was enthusiastic about participating in the wool project: “It was great to work with such a high-quality material as merino wool. Wool is a really great fabric to design in – it doesn’t crease and it hangs in a soft, pleasing way,” said Florian Schulze. The woollen creations were then exhibited for a week at Andreas Murkudis’s store. Wool School 2013, run by The Campaign for Wool, was an exciting and successful project for all those who took part. It offered students of different year groups the chance to collaborate with renowned companies from the industry, present their collections and experience first-hand the enormous versatility of wool. 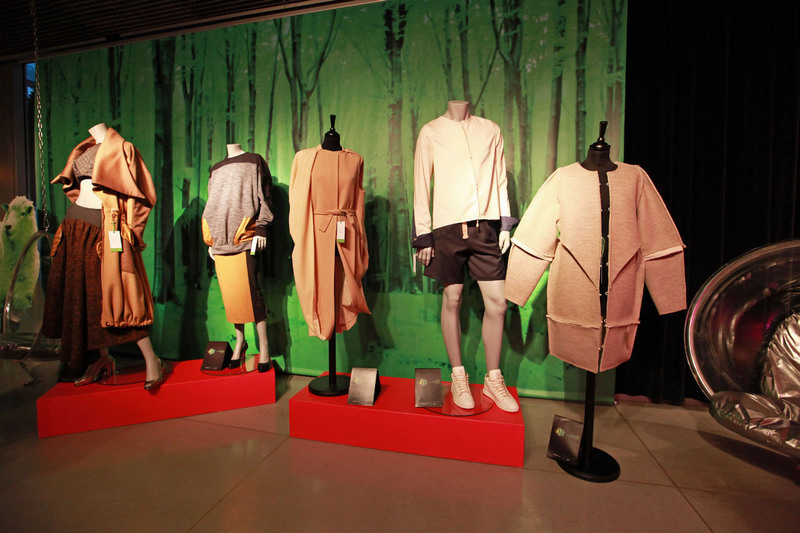 The students’ unconventional designs demonstrated a broad range of approaches for working with wool, such as using inventive knitting concepts, modern tailoring and innovative felt materials.